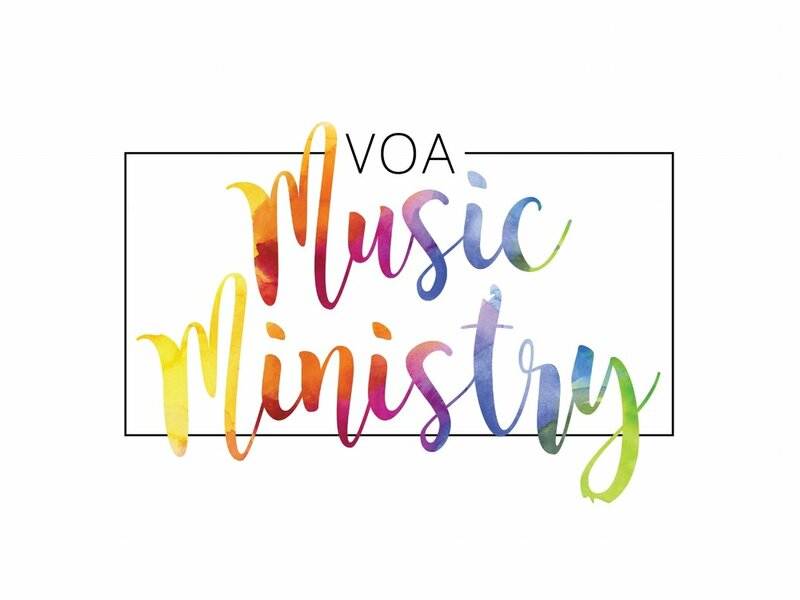 Welcome to Music Ministry at VOA! 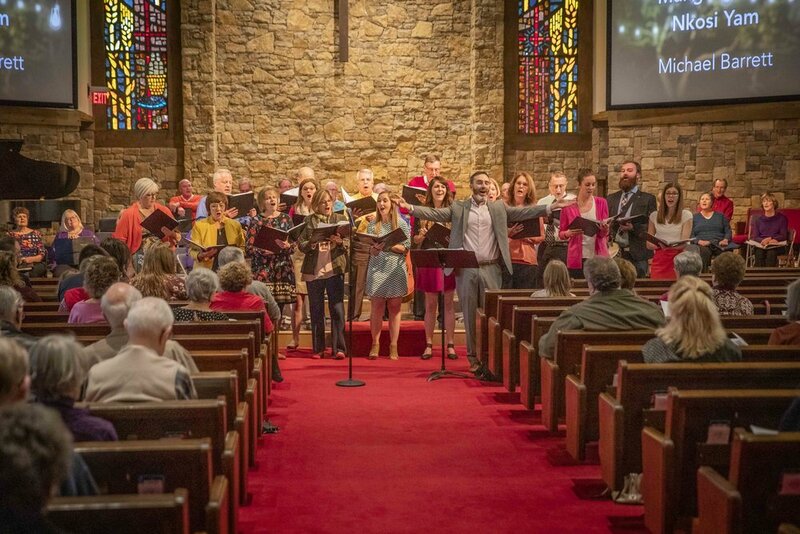 Because scripture commands us to "make a joyful noise,” because Village Church's identity is wrapped in it, and because we love it, we've created a Music Ministry where all people are welcome to participate. Our music ministry happens in 'episodes' that you can join at any time. We won't ask you to commit to a year of practice and play. Instead, give yourself a month or two to learn to read music for the first time, or gift this new ministry with your well-cultivated voice, or even pick up a bell and just start ringing. Under the leadership of Ryan Main, all skill-levels will find room to grow and connect here. Learn more about VOA choir in this video. VOA choir rehearses at 6 p.m. Wednesdays. Please join us! Tom Dean sings a solo on "I Choose Love"
Bethany Unruh sings a solo on "Draw the Circle Wide"
On Saturday, November 17, 2018 the VOA Choir and the More Love Chorale from VOM joined forces to host the first ever Community Sing at Village on Antioch to benefit Big Brothers Big Sisters of Kansas City. The afternoon was great fun for those who participated and allowed us to send a generous donation to BBBSKC. Would you like to know about music at Village on Mission? In addition to acting as VOA’s Director of Music Ministry, Ryan serves as the artistic director of the Youth Chorus of Kansas City and is an award-winning choral composer. His music has been published and performed internationally. Would you like to get involved with music at VOA? Would you like to contact Ryan Main or do you have a question to ask him? Open an email link to Ryan here.